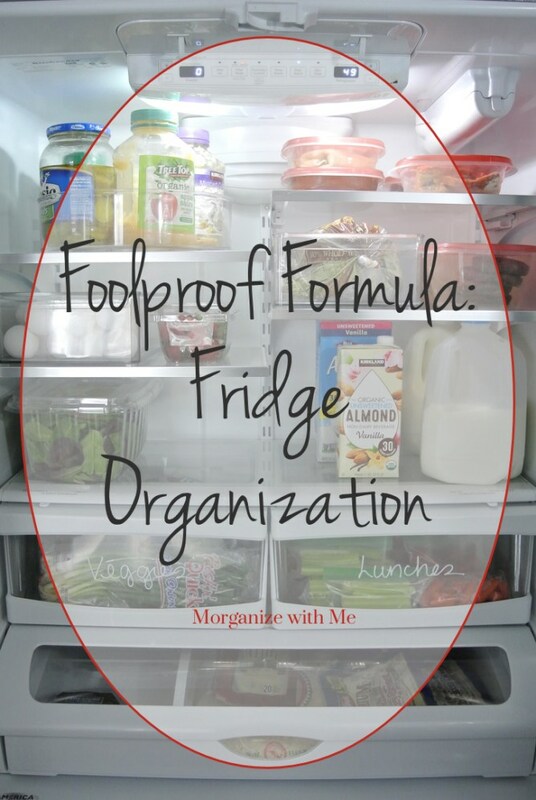 The following is a guest post about a foolproof formula for fridge organization from regular contributor, Morgan from Morganize with Me. 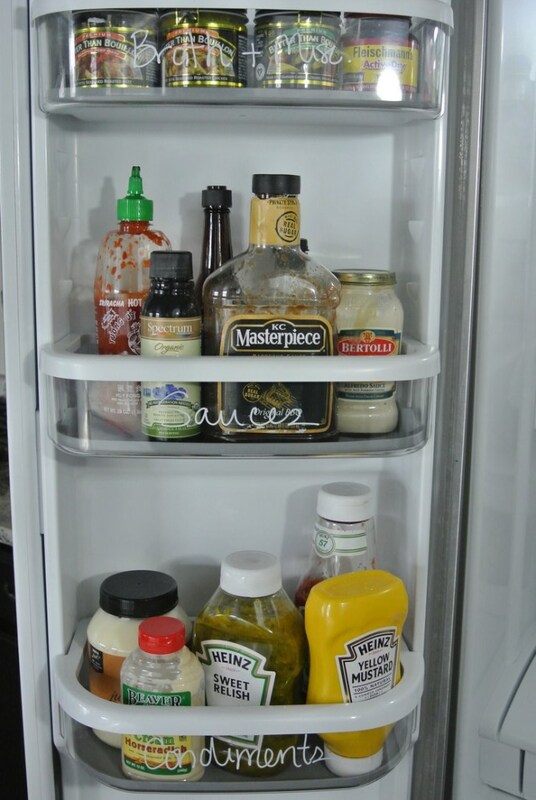 I have been wanting to take my fridge organization to the next level and guess what? I finally did! Our fridge was in need of more containment and more communication. 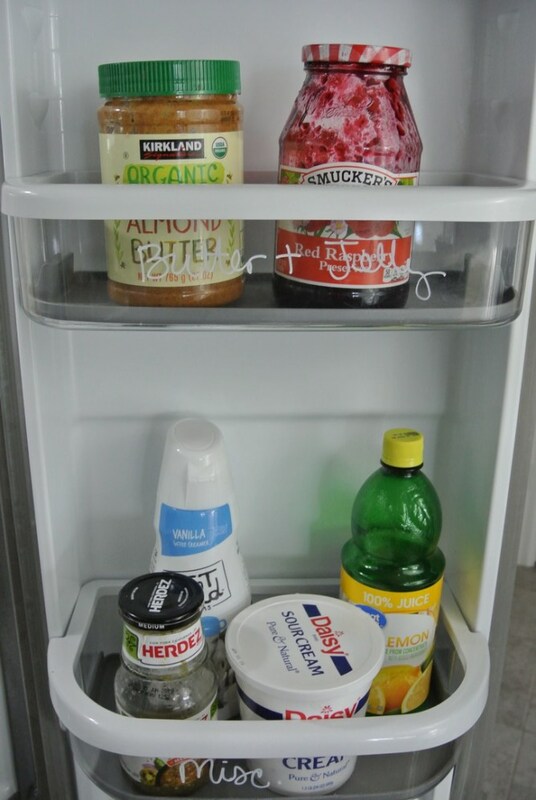 So, after completing a little reboot, I’m excited to share my MORE organized fridge and foolproof formula with you. 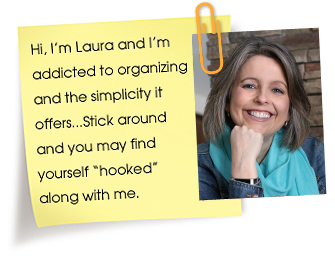 Use containers to corral like items. I finally broke down and bought some clear containers to help corral things and create better zones. First, I added a clear turntable to the top shelf. (Why did I wait so long to buy one of these?) It’s a large size which makes it great for holding bigger items, like pickle jars and applesauce containers. Now we can reach for something without having to move things around. Use communication to signal where things go. 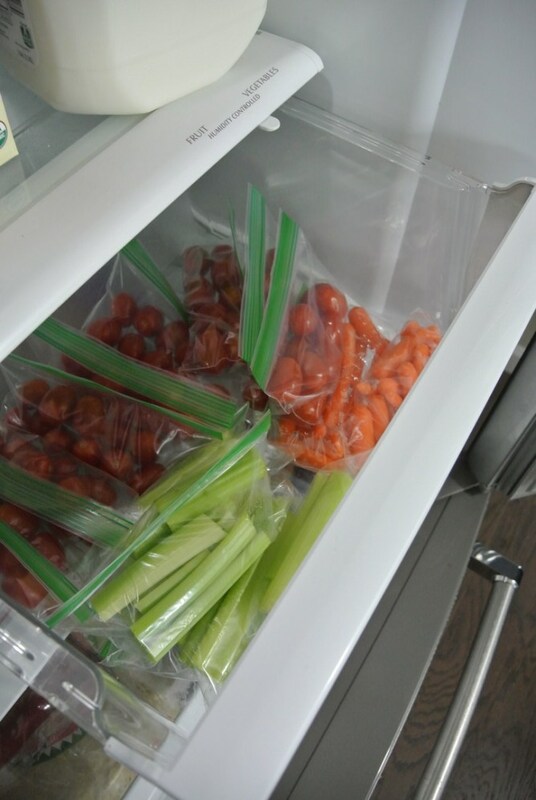 The two large drawers are now labeled: “veggies” and “lunches.” In the lunches drawer are prepackaged bags of veggies. This is a huge time saver and also helps my kids eat more vegetables. I purchased oil based Sharpie pens (affiliate link) and they worked really well. My cursive could use a little practice but all in all, I love this simple addition. Lastly, I use matching storage containers and this helps to keep things more streamlined and sorted. 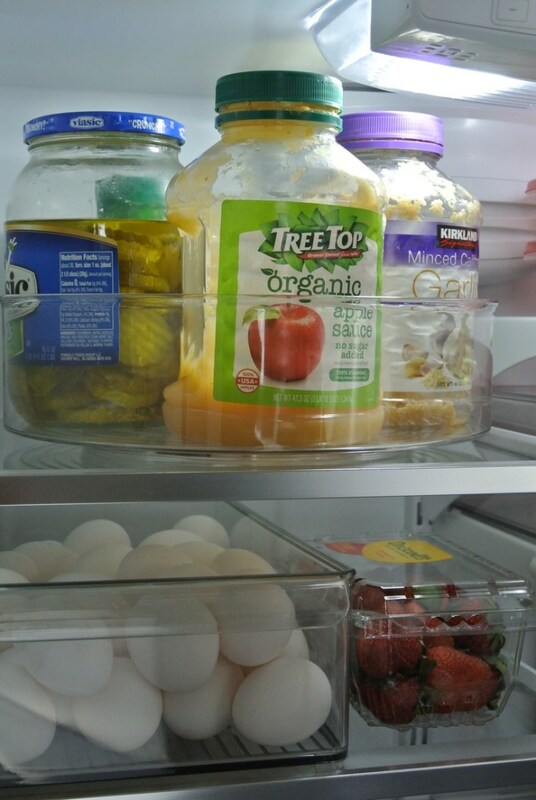 If you use storage containers that stack well, it will make it easier for you to fit everything in your fridge and it also looks coordinated! I personally have been using the “take along” Rubbermaid style containers (affiliate link) for years. I haven’t transitioned to using glass containers because we use them for packing lunches and this way there is no concern over breakage, but Rubbermaid does also make glass containers. Also, I suggest doing a quick clean up of your fridge on a weekly basis. I usually do this when I bring home groceries on Fridays. A weekly refresh guarantees to keep things fresh! 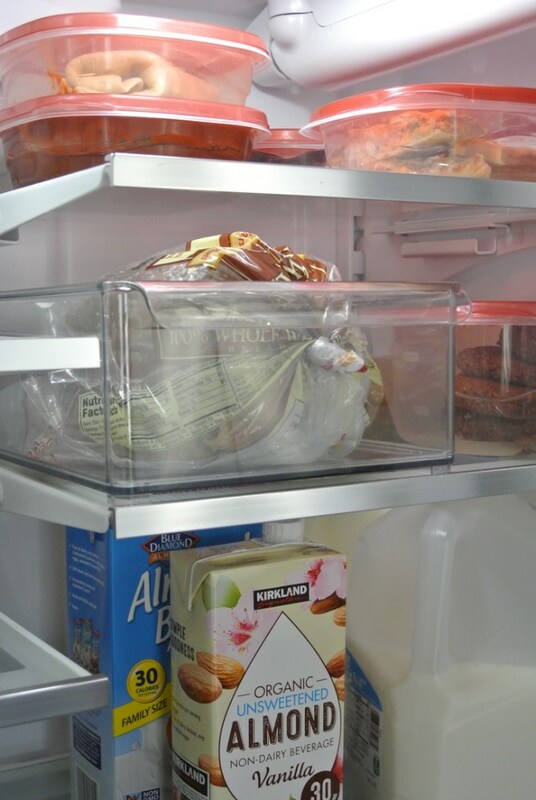 Are you ready to work on implementing these three tips and taking your fridge organization to the next level? 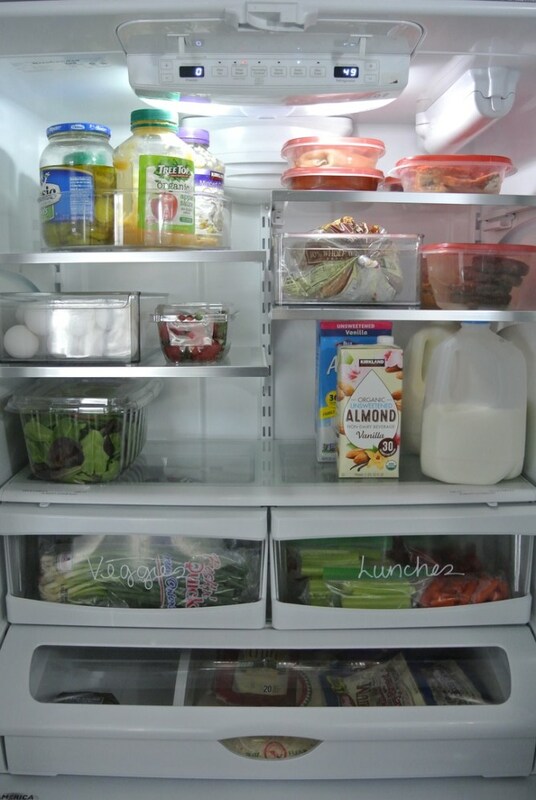 Share with me, what helps you to keep your fridge MORE organized? Can you post a link to the specific turntable you used? Thanks! Actually eggs are not supposed to be removed from their container for health reasons. They should also be stored in the main part of the refrigerator and not the door. That is why refrigerators no longer come with the plastic egg holders in the door that they used to come with. I have not had a problem with storing and finding stuff in our refrigerator, but we don’t have all that much stuff in ours. I like to keep items (eggs especially) in the original container less handling less chance to break an egg. Also I know the use by dates and don’t mix newer and older of the same item. What are you using to write on the glass on the refrigerator? If only ONE idea helps ONE person, your post was worth it. and I LOVE that turntable idea! We’re always shuffling the orange juice!